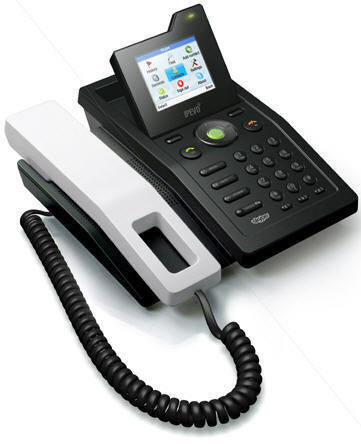 The IPEVO Solo Skype Desktop Phone now no longer needs a wired Ethernet connection. At CES, IPEVO announced the new Wi-Fi Dongle bringing wireless capability to the IPEVO Solo, enabling users to choose the best spot for their Skype calls, since they don't need a wired connection to a router - just a power connection. I guess this would make it truly a standalone Skype phone that is not only PC-less, but wireless as well. Just need to snip that handset cord and everything will be fine. Reminds me of Dr. Emmett from Back to the Future: "Don't worry! As long as you hit that wire with the connecting hook at precisely eighty-eight miles per hour the instant the lightning strikes the tower ... everything will be fine!" Reminds me of Dr. Emmett from Back to the Future: \"Don't worry! As long as you hit that wire with the connecting hook at precisely eighty-eight miles per hour the instant the lightning strikes the tower ... everything will be fine!\"